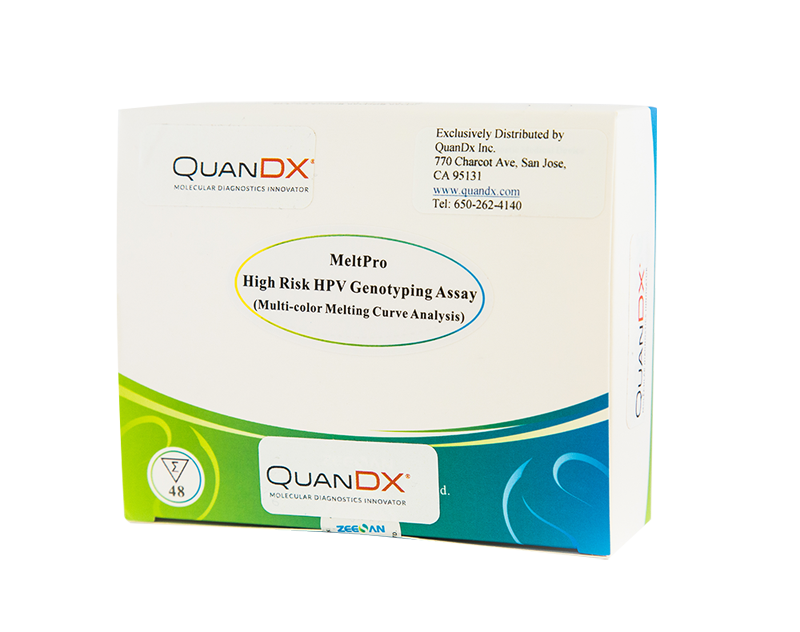 Rapid, reliable testing for High-Risk HPV. Cervical cancer is the second most common type of cancer in women (first being breast cancer) with an estimated 12,000+ new cases and more than 4,000 deaths in the US each year. It has been shown that cervical cancer has a close tie to HPV (Human papillomavirus, shown here). There are 14 high-risk HPV types; the two most common (HPV types 16 and 18) cause approximately 70% of cervical cancers. Therefore, developing a quick, early, and easy way to detect high-risk HPV is critical for women’s healthcare. 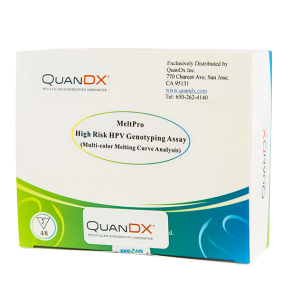 QuanDx’s MeltPro High Risk HPV Genotyping Assay (Multi-Color Melting Curve Analysis) is a qualitative in vitro test used for HPV genotyping and cervical cancer screening. 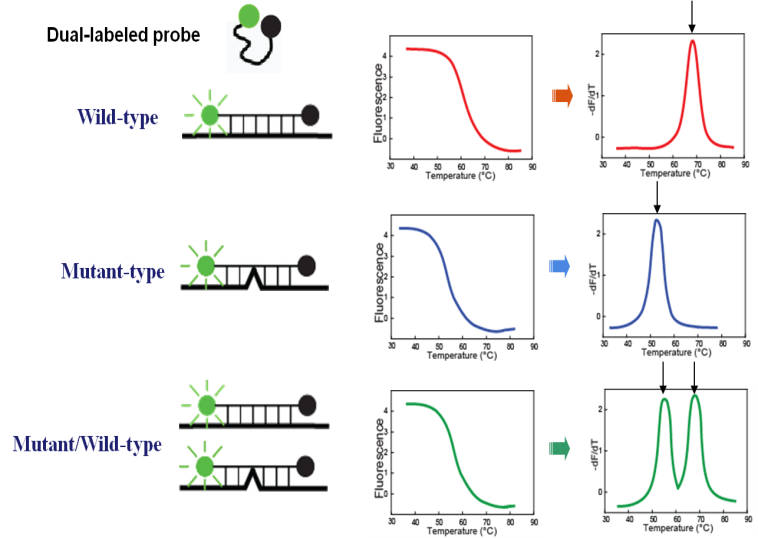 This test uses PCR followed by high-resolution melting curve analysis for the detection of 14 high-risk HPV types. 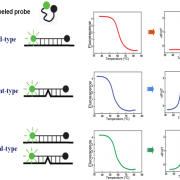 High-risk HPV subtypes can be differentiated in one single reaction. Accurate: Clinical trial data indicated that the total coincidence rate was above 99%. 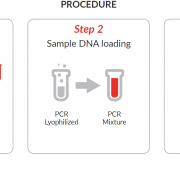 Easy to handle: Ready-to-use lyophilized reagent. Single tube reaction. Easy to ship and storage in the dry format: No dry ice required. Comprehensive: Kit covers all 14 high-risk HPV types. CE-Marked for IVD sale in Europe; Product not FDA cleared.